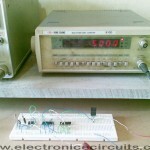 This circuit is a getting a 50Hz pulse. 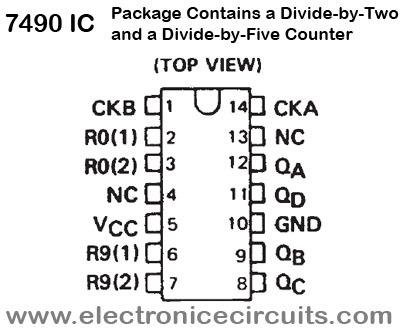 It comprises a 555 timer and two 7490 divide-by-ten counter chips 7490. 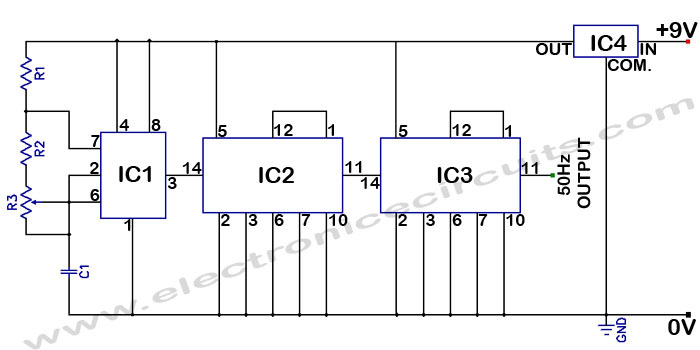 The 555 generates a frequency of almost 5KHz which can be adjusted by VR1. 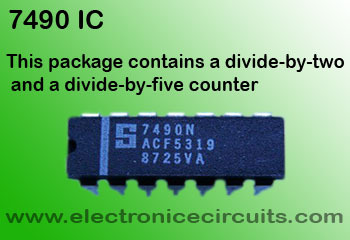 This pulse fed to one divide-by-ten counter IC2 (7490) which gives an output of 500Hz (500KHz/10=500Hz). 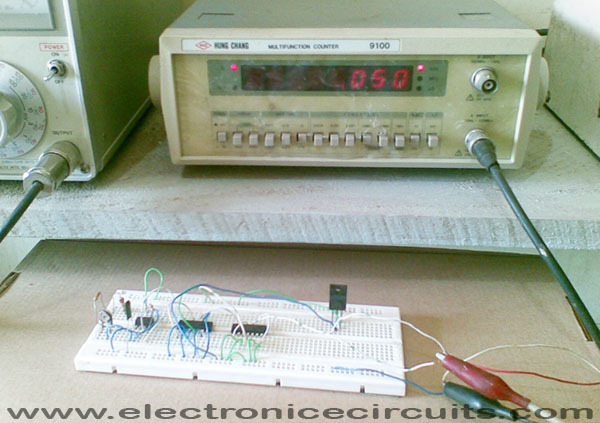 This frequency of 500Hz is again fed to the next counter IC3 to get 50Hz pulse (5ooHz/10=50Hz). 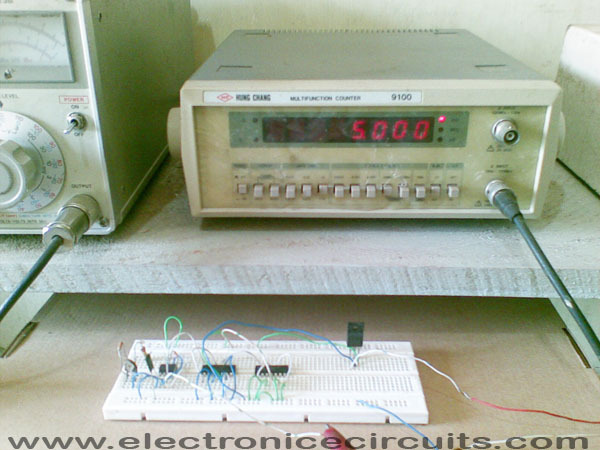 To get accurate 50Hz pulse, the 5k preset has to be set. 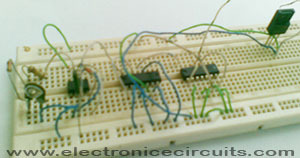 The circuit works on a regulated supply of 5V. 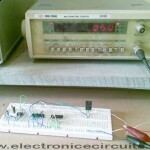 If you reducing R2 (like 120kΩ), this circuit uses as 60Hz oscillator. Is it a sine wave ? This great stuff. Continue the good work. Question though, how can that square wave nr converted to sine wave? Can this be used for inverter switching? 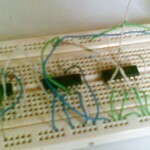 1 Pings/Trackbacks for "Accurate 50Hz Oscillator Circuit Using 555 And 7490"